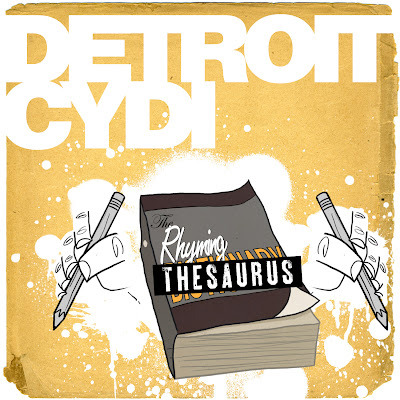 Since Doc Illingsworth, 1/3 of the group Detroit Cydi (who happen to be iV sponsored as well), let the rhyming cat out of the bag, I guess it's all good for me unveil the cover I designed for their upcoming tape The Rhyming Thesaurus on here as well. A remix album of their previous tape, The Rhyming Dictionary, I took the idea of the whole project being a remix and in turn remixed the original cover with my own style. *aka I wish I still had mine around. For...creative purposes of course.